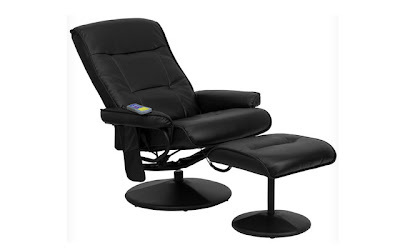 The Leather Massage Chair and Ottoman in Black is currently selling for just $144.00 on Wayfair.com! You will be saving 50% off the listed price of $286.25 with this home furnishings deal. More about this leather reclining massage chair and ottoman . . . These items come with Free Shipping! The quantities are limited for these products, so do not wait too long to take advantage of this discounted price.